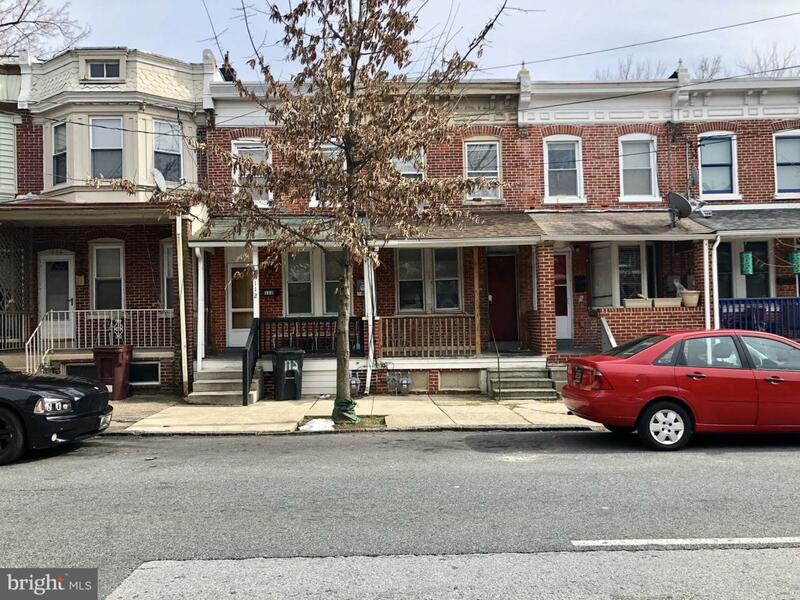 This two-story solid brick row home includes 2 bedrooms, 1 full bath and is located in the heart of Wilmington in the Hilltop Neighborhood. With the right investor and renovations, this home can become a revenue generating rental or great starter home in no time! Featuring a charming covered front porch, a small grass yard, and a basement, this opportunity is available for immediate possession. Conveniently located just minutes from I-95 and 202, public transportation, restaurants, shopping, and neighborhoods like Trolley Square and the Riverfront. Call today for more information!